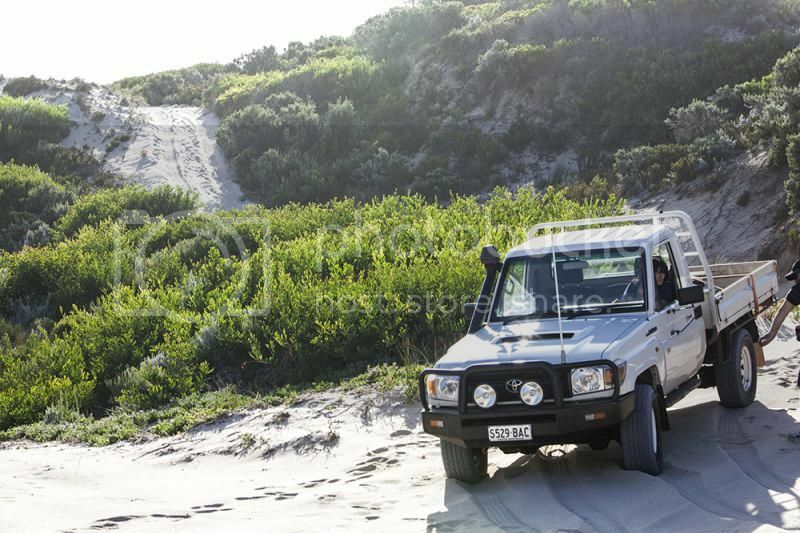 We went to Robe to have a bit of 4x4 fun last week. 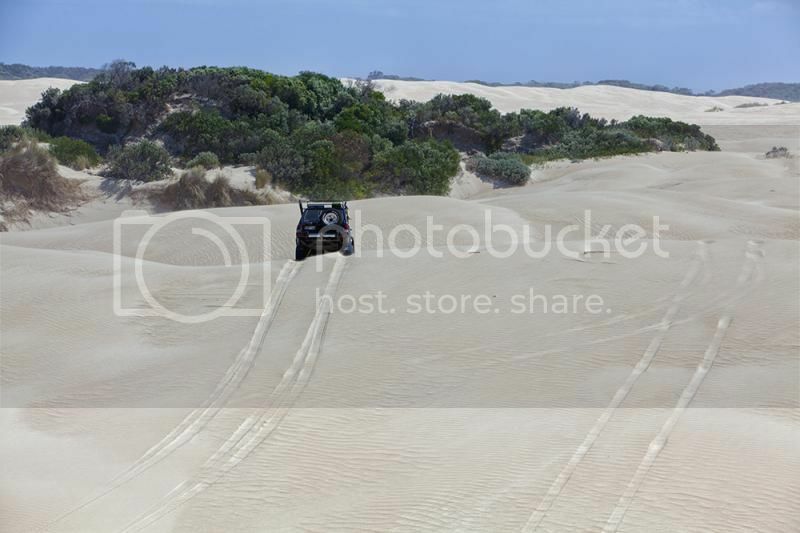 I've bought a new cruiser and was keen to see what it could do. 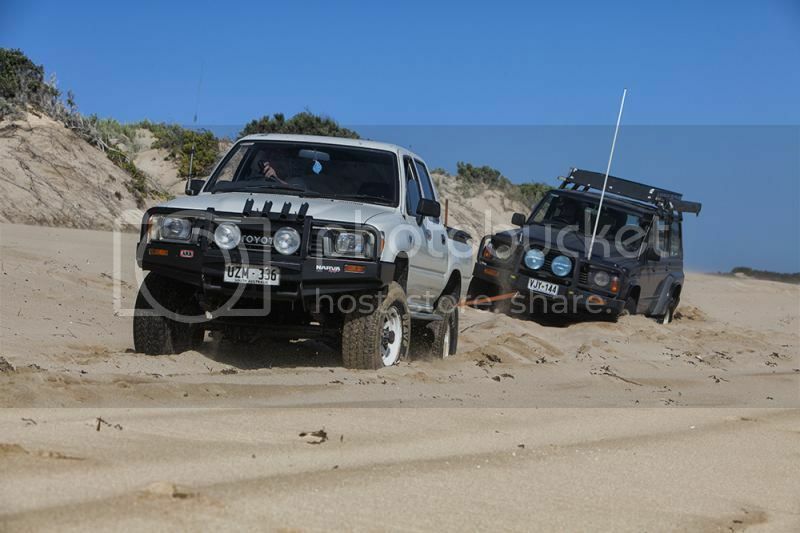 My stepson inherited my old Hilux and he loved it. Here's a few pics from the trip. 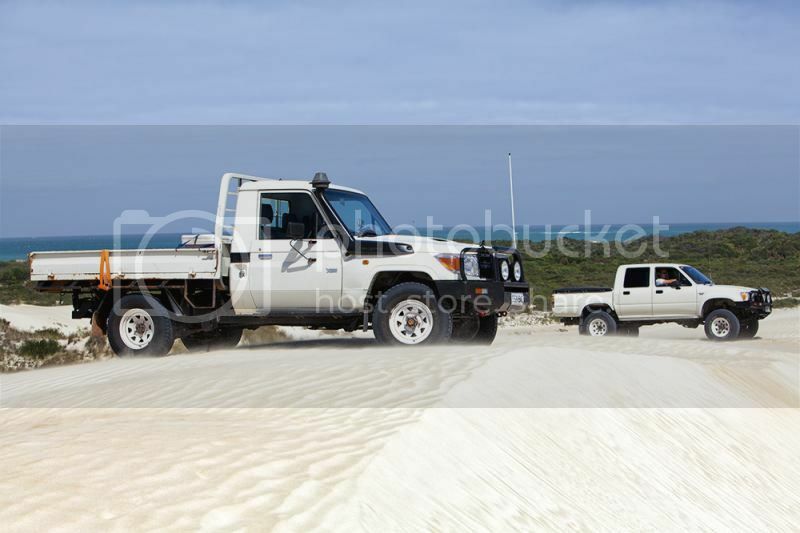 How'd you find the cruiser compared to the lux on the sand? Tonnes of fun Jake. 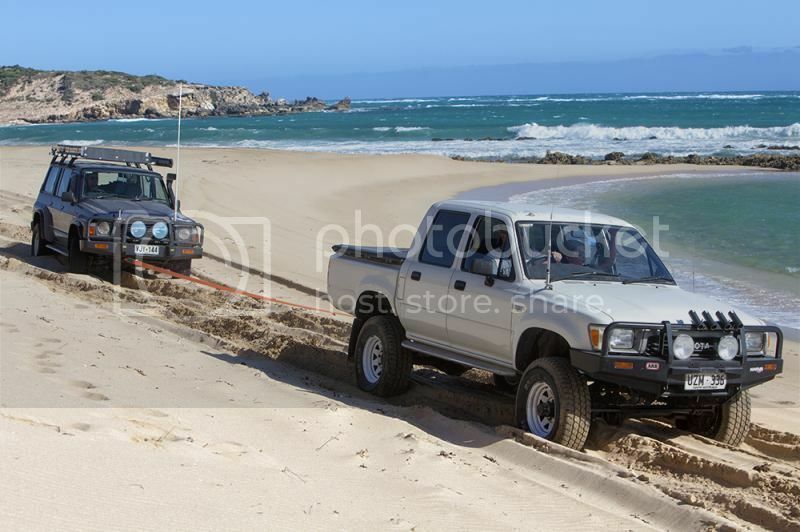 The extra power of the cruiser meant I got up, through or over anything I attempted ;-) Thats an unusual feeling for me after having the 2.8l Lux and a 3B powered BJ42 before that. 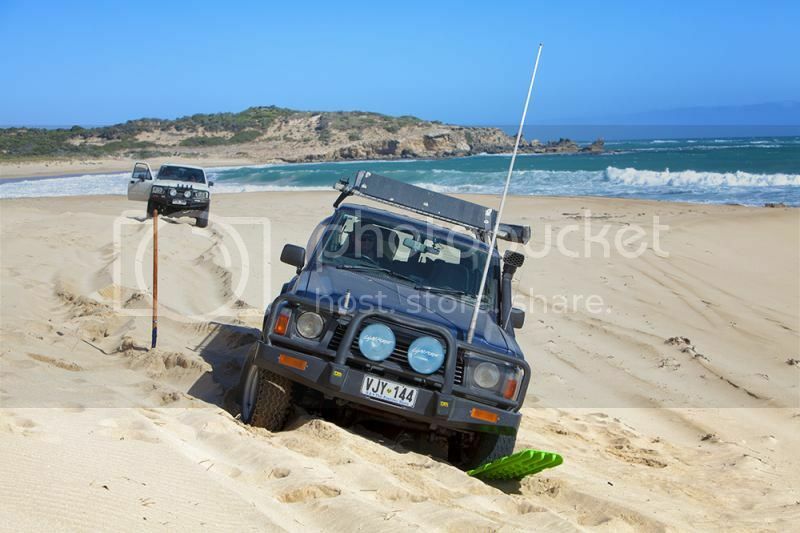 There were a couple of very soft beaches where the other two vehicles had a little trouble. I just got the revs up and away she went. I couldnt be happier with it ;-). 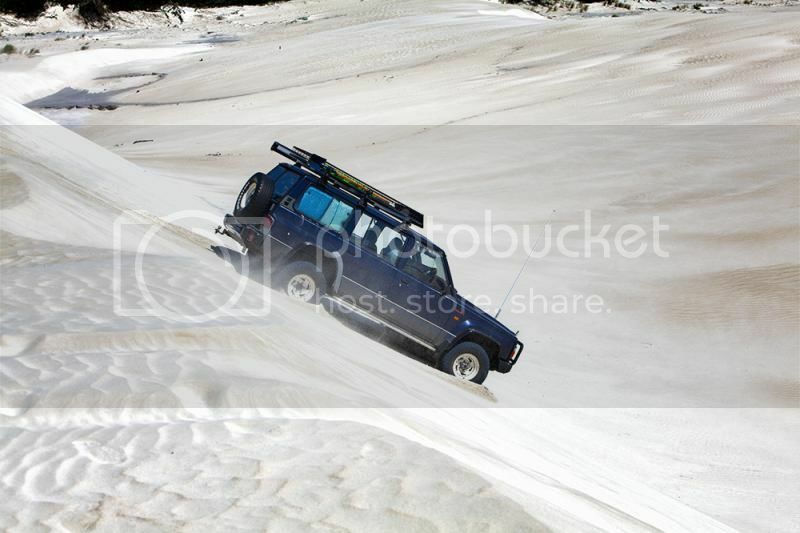 Ok, a little more lift would be nice. 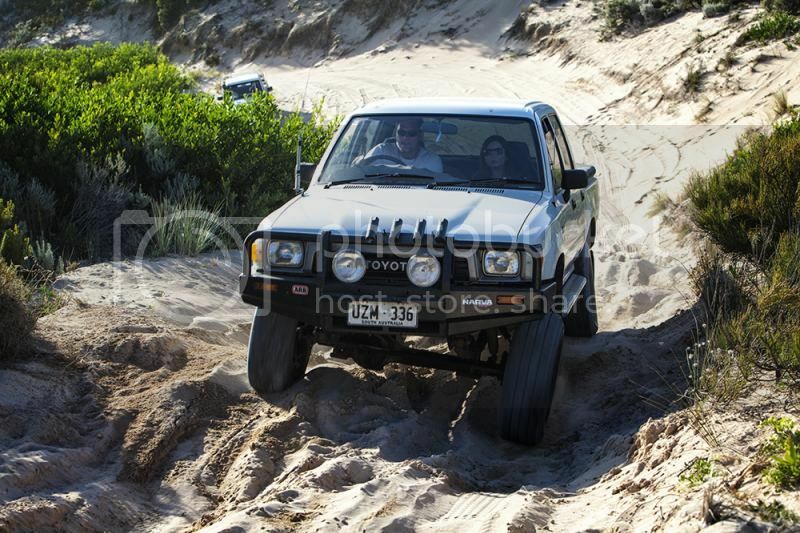 I did get a little wheel scrub on the ruts in the last photo there, but it didnt stop me. 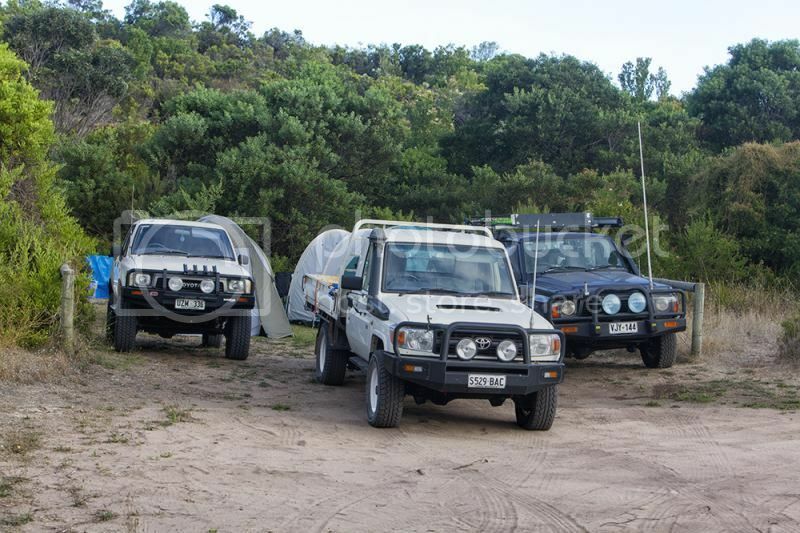 It's awesome fun with the 4WD down the South East. Can't wait to get down there myself again soon. Your pics bring back memories of many fun times! Good to see your still getting out there Hellbelly! 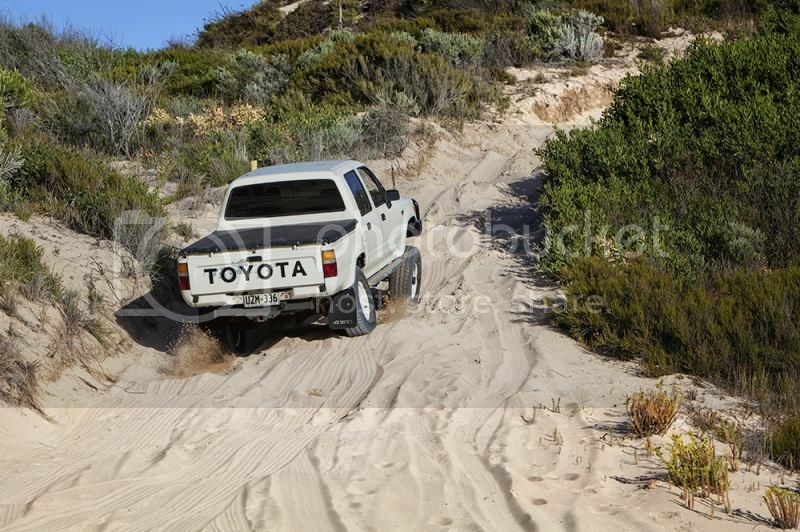 Ahh old hilux's, the reason woops are formed in the dunes!